STRENGTHENING YOUR CHRISTIAN FAITH AND INSPIRING GOODWILL AMBASSADORS FOR ISRAEL. The mission of Christians in Defense of Israel (CIDI) is to strengthen your Christian faith and to inspire you to be a goodwill ambassador for Israel and the Jewish people. We accomplish this mission through education, advocacy, and a life-changing Israel Ambassador Tour experience. For more information, call us at 407-875-1948, or email Israel@CIDIsrael.org. CIDI provides education and advocacy in multiple ways, including, but not limited to the Defender newsletter; brochures, books and booklets; audio-visual; radio and television; social media; informative emails; and immersive experiential tours in Israel. Our weekly emails keep you in touch with breaking news and other issues regarding Israel. These emails are the best way to stay informed and to stand up for Israel and the Jewish people. Subscribe by clicking here. The Israel Ambassador Tour provides an unforgettable, life-changing experience in Israel. The Holy Land tour was designed with a bold vision to create a unique Israel experience that will strengthen your faith and inspire you to be a goodwill ambassador for Israel. Unlike many Christian tours, you will discover the vibrant intersection of ancient and modern Israel from a biblical, historical, political, security, business, technology, science, and trade aspect. This experience will allow you to contextualize Israel’s role as a land of Judeo-Christian values and democracy standing in a sea of extremism and radicalism in the Middle East. The past, present, and future all come together in Israel. When considering tour providers, keep in mind that your experience will be directly related to the provider you select. The best analogy for comparison of tour providers is the 12 spies who entered the Promised Land. All 12 saw the same land, but only two experienced God. We will show you more of the land than most tours, but we want you to experience God. Our tour provides the best opportunity for a spiritual and learning experience that will last a lifetime. We pay attention to the details to make this journey a life-changing experience. The tour costs cover round-trip flights from the designated departure point in the United States to Tel Aviv, beautiful hotel accommodations, three meals each day, travel via luxury bus, tours with an experienced guide, sessions with knowledgeable speakers, and all entrance fees. When considering prices of other tours, make sure you compare apples to apples. Some tours of Israel appear to offer bargain prices, but a closer look often reveals time-consuming layovers rather than direct flights, two meals a day rather than three, hotels that do not provide good service or food, low quality tour guides and bus transportation, an airline fuel surcharge as you approach the departure date, fewer sites, and no special speakers. We are committed to make your journey to Israel a life-changing experience that will last for a lifetime. 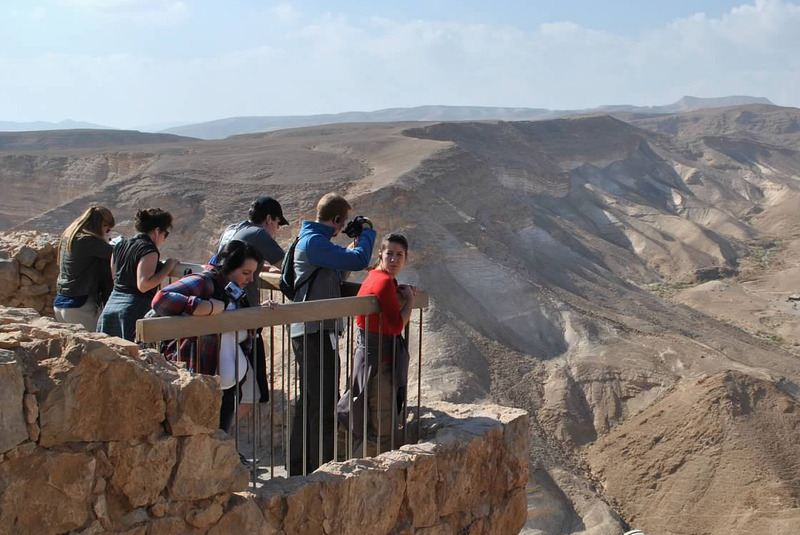 CIDI also supports Covenant Journey (CJ), which is an immersive, experiential tour only for Christian, college-age students who have leadership potential and some level of support for, or interest in, Israel. Students must apply for this tour at www.CovenantJourney.org. Students who are selected pay only $500, and the rest of the tour is underwritten by donors. Both the LAC and the CJ tours for college-age students provide life-changing experiences. Your Christian faith will be strengthened and your understanding of and love for Israel will be deepened. Everything comes together in Israel - our Christian faith, our Judeo-Christian values, our history and heritage, the past, present, and future - everything revolves around Israel. This small country is no bigger than the state of New Jersey, but it is always at the center of attention. From Biblical history and prophecy to geopolitical issues, Israel occupies a unique place in history. The fact that Israel even exists today is a miracle. In 1948 the modern state of Israel arose out of the smoldering furnaces of Nazi Germany. The ancient cities, the Hebrew language, and the Jewish people who were scattered throughout the world continue to exist against all odds. Neither the Pharaohs of Egypt, the Kings of Babylon or Persia, the maniacal Roman Emperors, nor the brutal Nazi tyrants were able to extinguish Israel or the Jewish people. Not only have Israel and the Jewish people survived while these other regimes became extinct, but today Israel has become one of the world’s most innovative countries in the areas of business and technology. Much of our modern technology that we rely upon daily was invented in Israel. Everything comes together in Israel—our Christian faith, our Judeo-Christian values, our history and heritage, the past, present, and future—everything revolves around Israel. This small country is no bigger than the state of New Jersey, but it is always at the center of attention. From biblical history and prophecy to geopolitical issues, Israel occupies a unique place in history. The fact that Israel even exists today is a miracle. In 1948 the modern state of Israel arose out of the smoldering furnaces of Nazi Germany. The ancient cities, the Hebrew language, and the Jewish people who were scattered throughout the world continue to exist against all odds. The Pharaohs of Egypt, the Kings of Babylon or Persia, the maniacal Roman Emperors, nor the brutal Nazi tyrants were able to extinguish Israel or the Jewish people. Not only have Israel and the Jewish people survived while these other regimes became extinct, but today Israel has become one of the world’s most innovative countries in the areas of business and technology. Much of our modern technology that we rely upon daily was invented in Israel. It is important that we support Israel. The Bible has much to say about how Israel occupies a unique place in God’s economy. In addition to what the Bible says, Israel is our greatest ally in the Middle East. Israel is the only place in the Middle East where religious liberty and democracy flourish. Our Western culture, law, policies, and Judeo-Christian values are rooted in Israel. Indeed, our Christian faith is rooted in Israel and the Jewish culture. Jesus was born in Jewish flesh, and the Bible was written predominately by Jews. There is no place on earth like Israel. Your life will never be the same after visiting the Holy Land. We are honored to provide you the opportunity to learn about Israel, to discover the wonders of this land and the people, and to deepen your understanding of the Bible and God’s plan for you. CIDI is a 501(c)(3), tax-exempt nonprofit organization. Contributions are tax-deductible.